Project SensorWeb is a project born out of Mozilla from a lean team with a powerful mission. Its vision is to equip organizations and individuals with contextual information about their connected world that empowers them to make informed choices about policy and daily life. The project aims to work with a community of like-minded people to set up a sensor network to gather real-time, hyperlocal insights on air quality to help improve the quality of life of people who suffer from asthma and allergies or are concerned about their and their family’s health. In the future, SensorWeb can be applied to solve other environmental problems the world is facing today. We believe that with projects like SensorWeb, Mozilla can continue to empower people by growing a community to participate in this movement, bringing them a high-resolution view of our environment, and demanding the right policy based on data. We are primarily using Github issues for our day-to-day work. We are also using JIRA for some documentation of user stories and test cases. This instance is not yet open for public access but all of the work to satisfy the user stories here will be reflected in the Github issues above. 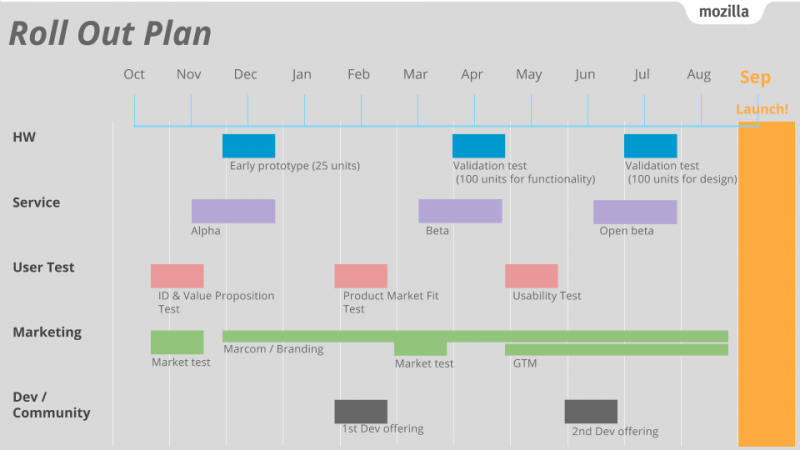 The team is currently working on our Phase 2 prototype to be delivered in December 2016. We will publish a list of development hardware soon for those who are interested in working with us. Please join us in IRC or send a note to Dylan Oliver if you'd like to get involved. This page was last modified on 4 January 2018, at 20:43.